Ahead of his Irish Open visit and his debut at The Ryder Cup, Chris Wood gave us a big Mizuno shout out. 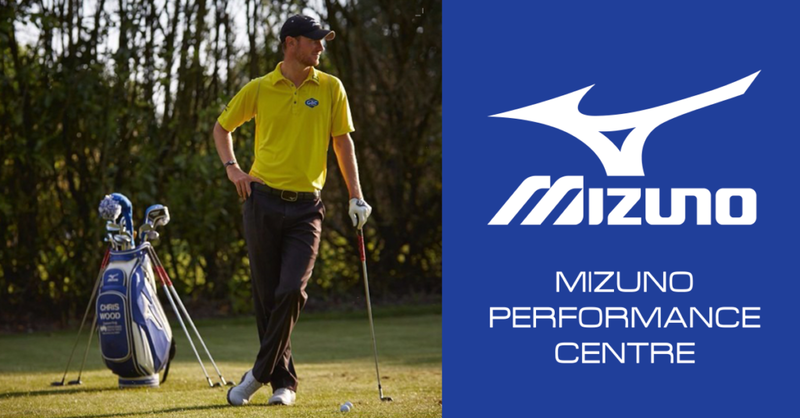 ForeGolf is a Mizuno Performance Centre providing a premium custom fitting service. We have the largest and most comprehensive range of heads and shafts for custom fitting. Mizuno in Japan made a special set of different weighted heads for us. We can find the correct balance of club to suit your tempo. We ensure the club is balanced correctly by using different lengths of shaft with the correct weight head. We have the full range of Mizuno wedges, drivers, fairway woods and hybrids to be fully tested and fitted for. This is the largest selection of Mizuno fitting clubs in Ireland. Our fitting experience is award winning and has been fully accredited by Mizuno as one of the best in Europe. We don’t fit to sell. There is no such thing as a standard specs and a set from the rack that just happens to be the best fit. All our clubs are custom built to order. At our driving range location you can see the true ball flight using real target greens to see the ball land and spin. Our balls used in the fittings are real golf balls with true spin and flight. We don’t use spongy range balls. We are TrackMan partners and insist on the best ball flight tracking and analysis available. All session are conducted using TrackMan 4. All our clubs go through added calibration where each club is tested for exact loft and lie using a digital loft and lie machine. You should verify you are getting a premium fitting by a qualified Mizuno Custom Fitting Specialist by using the Mizuno Website to find your nearest Mizuno Performance Centre.